The BMW Lifestyle Mens M Style Watch. 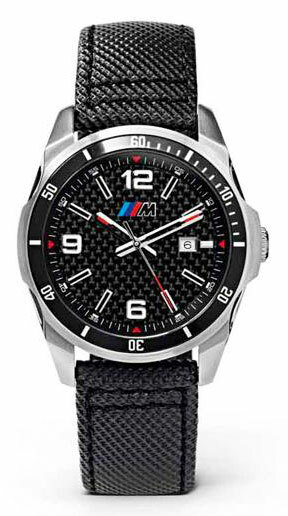 Featuring a high quality stainless steel case, black aluminum outer dial ring and carbon watch face. This watch is delivered in a premium gift box. The M watch is water-resistant up to 66 feet. Produced exclusively for BMW by Tourmeau.